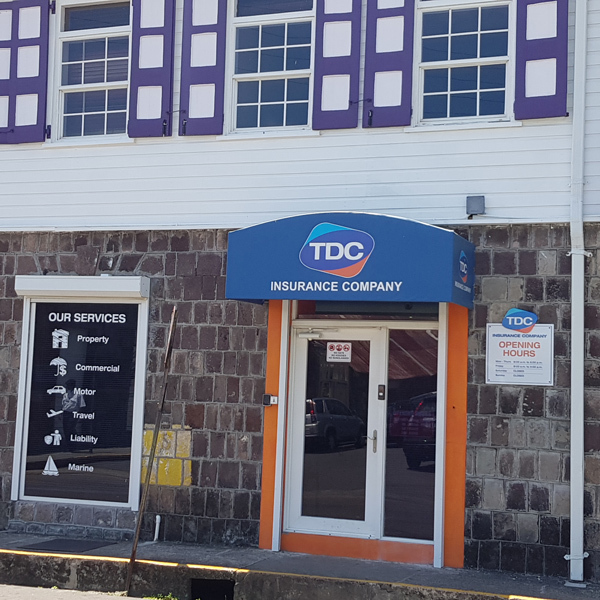 Following a period where TDC operated as an agent for INA and Capital Life in St. Kitts and Nevis, TDC Group established its own insurance business to serve the needs of individuals, families and businesses in St. Kitts and Nevis. It named the business St. Kitts Nevis Insurance Company (SNIC). SNIC commenced trading on 24th July 1987. Under the direction of Austin 'Gary' Da Silva (1987-2000), Nesta Seaton-Clark (2000-2008), Carl Thompson (2008-2017) and Evon Rogers (2017 on) the Company flourished from its humble beginnings to today's thriving insurance business. We changed our name to TDC Insurance and achieved an A- (Excellent) Financial Strength rating from the respected international rating agency A.M. Best in 2016. Our vision is to be the pre-eminent insurance company in the Eastern Caribbean region, acknowledged as a leading contributor to the business and wider community and universally recognised as a secure and stable company whose business activities are underpinned by sound values. Central to this ethos is our commitment to providing clear and concise information, free of "jargon" and written in plain English. Available now - call To send us your feedback, please complete the Customer Feedback Form. Products and services marketed and sold in the retail market are designed to meet your individual needs. Where we offer advice you, the advice is suitable and takes account of your individual circumstances. We provide you with products that perform as we have led you to expect, and the associated service is of an acceptable standard. You will not face unreasonable post-sale barriers imposed to change products, switch providers, submit a claim or make a complaint. We will ensure that any complaints or grievances are handled in a sympathetic, positive and professional manner. The purpose of insurance is to meet genuine claims promptly and in full. It is our philosophy that genuine claims should be processed and paid with excellent customer service. We thank claimants for supporting us with the process of validating and quantifying claims through to settlement. TDC Insurance is a fully owned subsidiary of the St. Kitts Nevis Anguilla Trading and Development Company Ltd (TDC Group), a large regional trading group with a wide range of business interests. TDC Insurance has paid up share capital that exceeds the regulatory requirements of the existing Act and expected requirements under the Uniform Insurance Bill. TDC Insurance retains adequate liquid funds to meet reasonably foreseeable liabilities. TDC Insurance substantially exceeds the minimum solvency margin. TDC Insurance deposits a substantial proportion of the Company’s assets with the Registrar to satisfy the statutory requirement. These funds cannot be accessed without specific approval from the Regulator. In addition to the catastrophe reinsurance cover, TDC Insurance prudently reserves for outstanding claims in respect of its unexpired policies. The seeds were sown when TDC operated as an agent for INA and Capital Life in St Kitts and Nevis in the 1980s. On 24th July 1987 TDC established its own independent insurance business and named it St Kitts Nevis Insurance Company (SNIC). Under the direction of Austin ‘Gary’ Da Silva (1987-2000), Nesta Seaton-Clark (2000-2008), Carl Thompson (2008-2017) and Evon Rogers (2017 on) the Company has flourished into today’s thriving insurance business. In 2016 SNIC was renamed TDC Insurance.